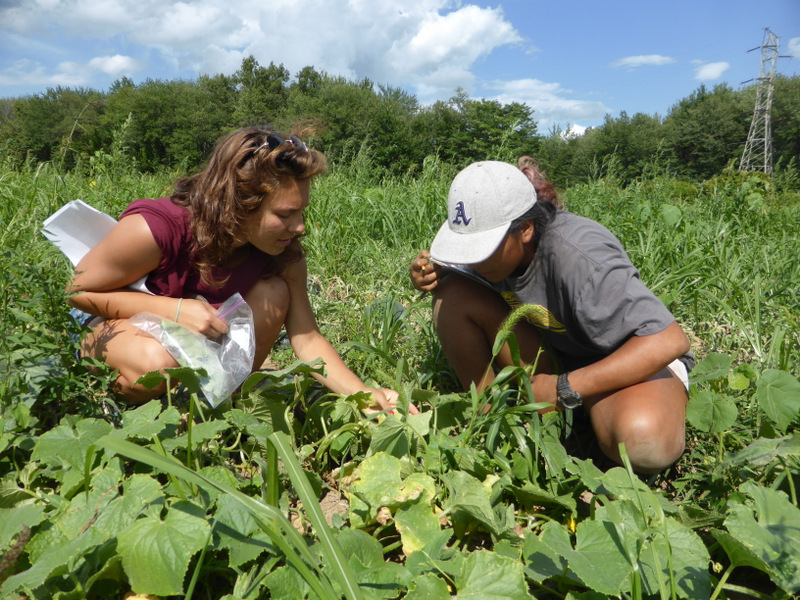 During the summer of 2016, 33 undergraduates at UMass Amherst had the opportunity to work both on and off campus in the laboratories, research farms, and in the communities of scientists and extension outreach professionals. 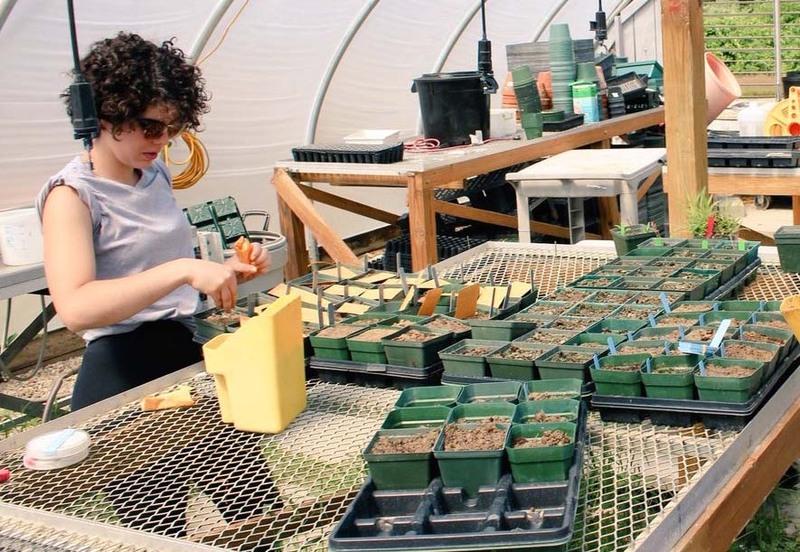 The “Summer Scholars” program was created by the University’s Center for Agriculture, Food and the Environment, home of the school’s land grant programs. 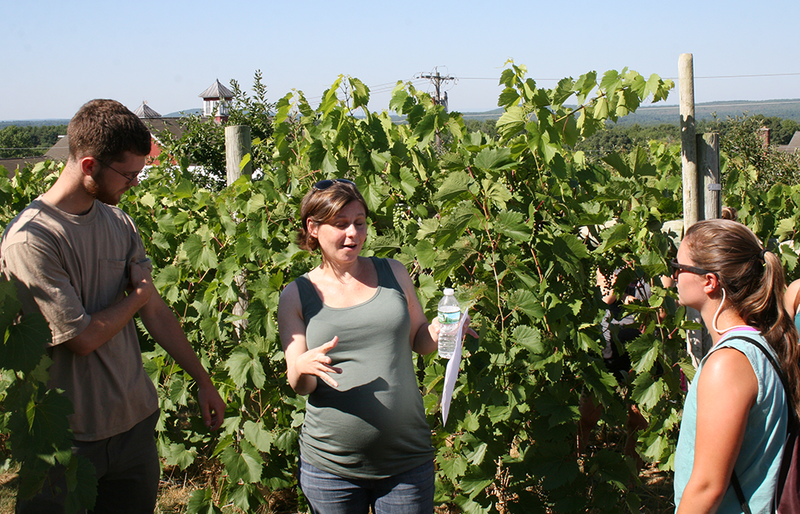 The program was created with support from the National Institute of Food and Agriculture at USDA and two external organizations, the Massachusetts State Grange and the Massachusetts Society for Promoting Agriculture. Several students who participated are profiled here. Paul may be an undergraduate, but he presents himself as a quintessential scientific researcher. His trajectory is aimed at a medical career, and he is well-suited to the intense tasks of the summer’s work. Travers was involved in many of the critical steps towards the discovery of new antimicrobials. The days found him frequently surrounded by a warm locker of petri dishes in the University’s unique Plant Cell Culture Library (PCCL). The collection, containing 2,500 species of plant stem cells, is the world’s largest library by diversity, representing both common and rare species. This biochemistry project exposes plant cell cultures to different stressors in order to induce a specific response and the release of certain chemicals. Stressors include exposure to heat or cold, plant stress hormones (methyl jasmonate) and individual pathogens (Fusarium, Borrelia, mycobacterium, etc.). Travers collected any released chemicals and analyzed the contents to see whether they contained anti-viral, anti-bacterial or anti-fungal properties. In the mid-point of his research, Travers discovered how to use the fungus Fusarium oxysporum as an elicitor for the plant cells. He is hopeful that this process will lead to specific fungal immune responses. Further testing is underway and will continue through the fall. He plans to graduate December, 2016. Travers worked closely with Sergey Savinov, associate professor of biochemistry and molecular biology and operations director of the library. Savinov shared future projections made by well-regarded biochemists that, by the year 2050, deaths from bacterial infections will surpass those from cancer, bringing a sobering sense of urgency to Travers’ summer work. 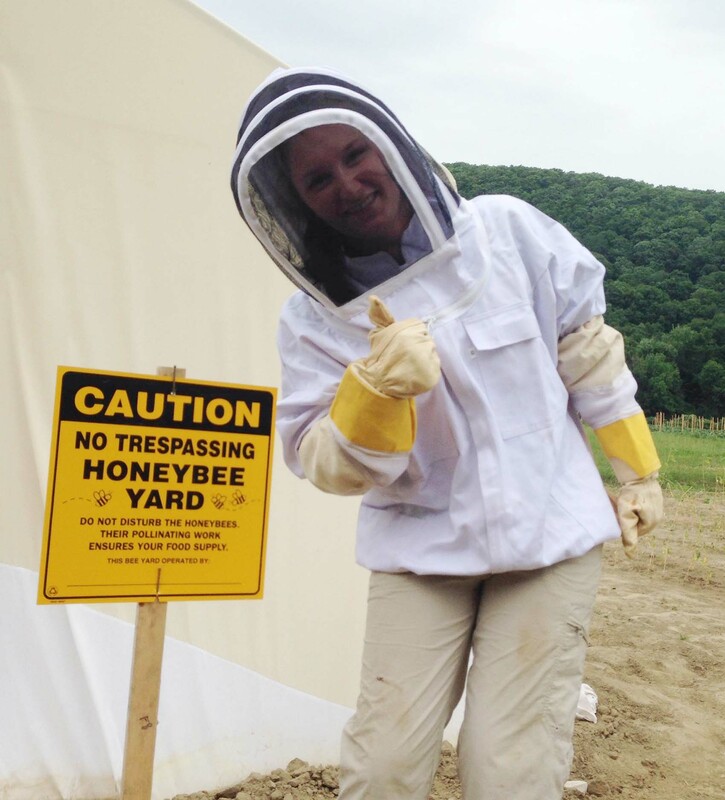 Travers’ Summer Scholar experience was funded by the Massachusetts Society for Promoting Agriculture. 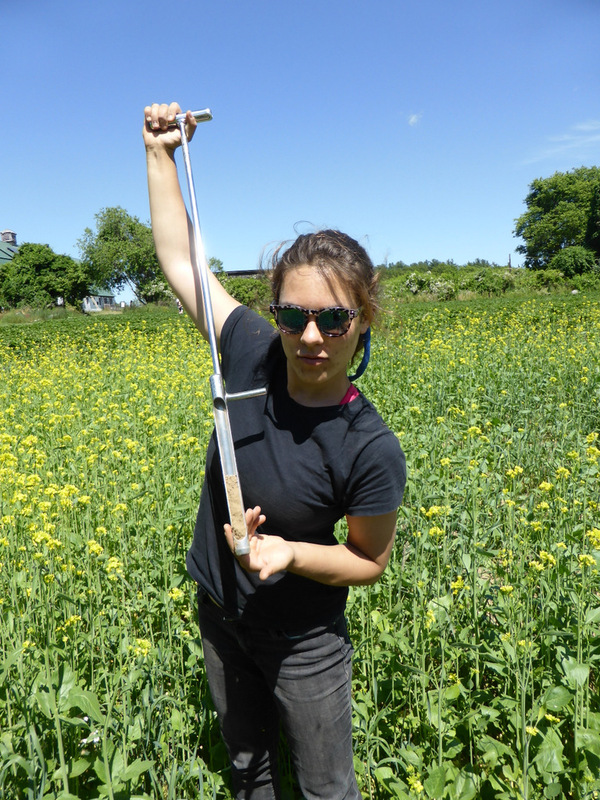 When Kallin Lang, a senior biology major, started her summer research project she did not know the difference between a cardinal’s trill and a sparrow’s chirp. But working with Paige Warren, professor of environmental conservation, she quickly developed a keen ear for the flutelike birdsong of wood thrush as well as its distinctive alarm call when threatened. Populations of wood thrush across the Northeast have seriously decreased in recent decades, so laboratories like Warren’s are trying to understand the causes of decline facing these migratory birds. Lang tracked the reclusive bird all summer and discovered the “nests are failing,” meaning that not many young wood thrush chicks reached adulthood this year. This is caused by an increase in predators that eat both eggs and young chicks. After finding nests, Lang set up video cameras to monitor ‘provisioning rates’ (how often parents feed the young) and collected data on vegetation, food availability and chick health. Because of the preceding mild winter, an overabundance of predatory rodents were discovered this summer, such as squirrels and rodents. Click on this link to hear the wood thrush song. 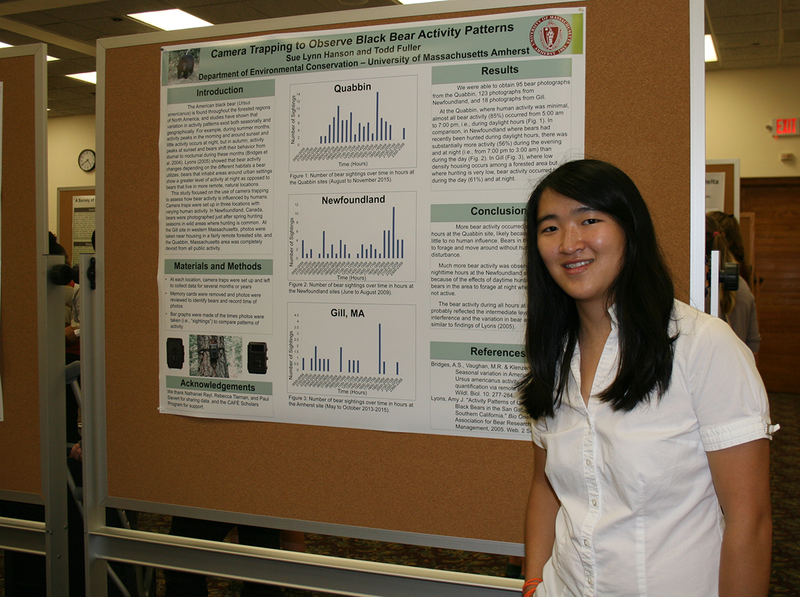 Kallin Lang’s Summer Scholar experience was funded by the Massachusetts Society for Promoting Agriculture. From Springfield, Massachusetts to New Orleans, Louisiana, this has been a busy summer for senior Vanessa Ford. Ford has a deep interest in maternal and child health as it relates to breastfeeding in ethnic minority populations. As part of her outreach to understand challenges that women in African-American communities face, she organized focus groups in Springfield, Mass. and is currently analyzing results. One early finding is that women participating in the focus groups enjoyed the opportunity of meeting other African-American mothers who have chosen to breastfeed and wanted to start a support group for breastfeeding black women. As part of Ford’s summer research, she and her mentor, Lindiwe Sibeko, Extension Assistant Professor in nutrition, attended a national conference in New Orleans that addressed breastfeeding disparities in communities of color: “Reaching Our Sisters Everywhere (ROSE).” She also facilitated a roundtable discussion on the challenges of a research approach to addressing breastfeeding disparities in communities of color. Her round table was well-received by participants, comprised of health professionals and researchers. 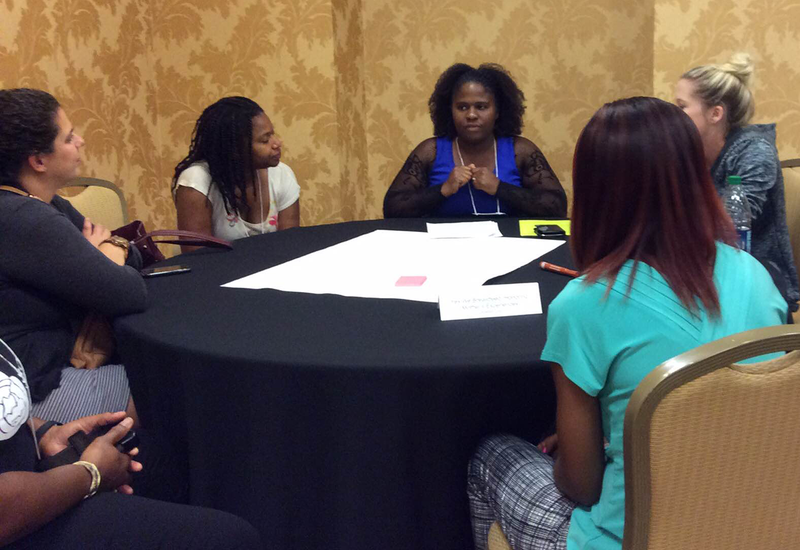 The ROSE conference was an enlightening and empowering experience for her. Most of the summit was dedicated to breastfeeding in African American communities, where the breastfeeding rates are low, and health disparities are most persistent. The most captivating sessions presented African American women’s experiences in breastfeeding successfully despite the challenges they face. Sometimes the difficulties are within their own families, at the work place and institutionally. Throughout the conference, presenters discussed not only the importance of breastfeeding as it relates to the infant’s and the mother’s health, but also discussed the challenges, barriers and successes of breastfeeding for women of color. A presentation at the conference entitled, “Post-Traumatic Slave Syndrome,” by sociologist Joy Degruy had a profound impact on Ford. It included some of the dreadful historical events that took place during the time of slavery and illustrated how these are directly related to the attitudes still held today within both the black and white communities with regard to breastfeeding. Other highly illuminating topics discussed evidence illustrating the impact of breast milk on the prevention of overweight and obesity and the protective benefit of breastfeeding on infant mortality. This is particularly salient as the infant mortality rate in the African American community in Springfield is greater than twice of that in the white population. Ford was the recent recipient of the Frank and Helen DiGiammarino Scholarship, presented Spring 2016, by the Honors college. This award was established in 1999 by members of the DiGiammarino family, many of whom are UMass alums, as a way to honor their parents for their commitment to academic excellence. 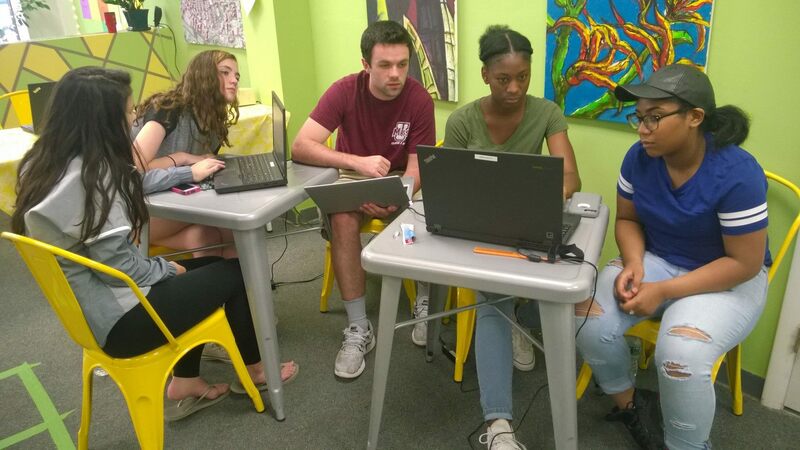 It is given to students who pursue an intensive community engaged learning or research experience over the summer or during the academic year. 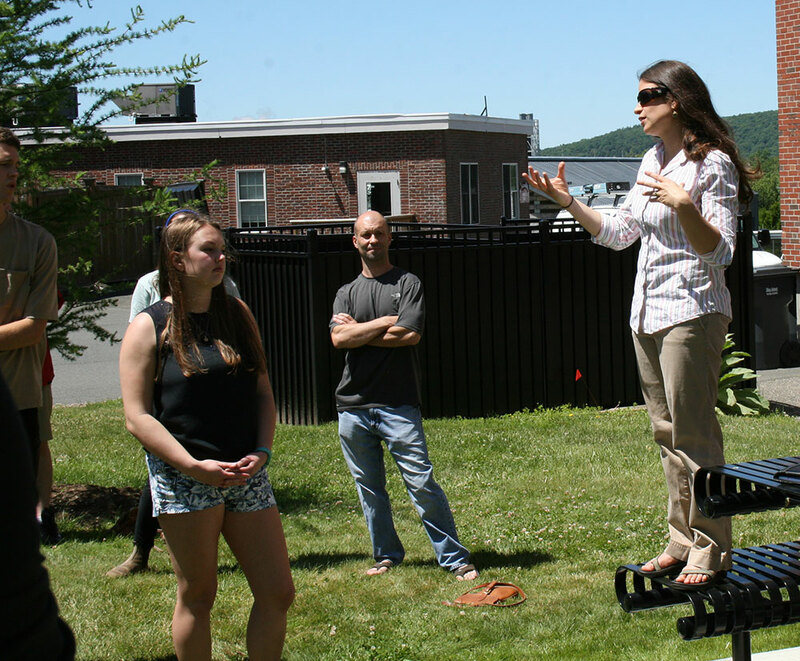 Vanessa Ford’s Summer Scholar experience was funded by the Massachusetts State Grange. Senior Jeffrey Heithmar is a guy on the move. Heithmar credits his summer project with a major shift in his scientific and career focus. He had been headed full-steam into a medical career. That was before he spent the summer working with his mentor Madelaine Bartlett, Assistant Professor of Biology. He credits his experience as a CAFE Summer Scholar for his shift from medicine to developmental biology. 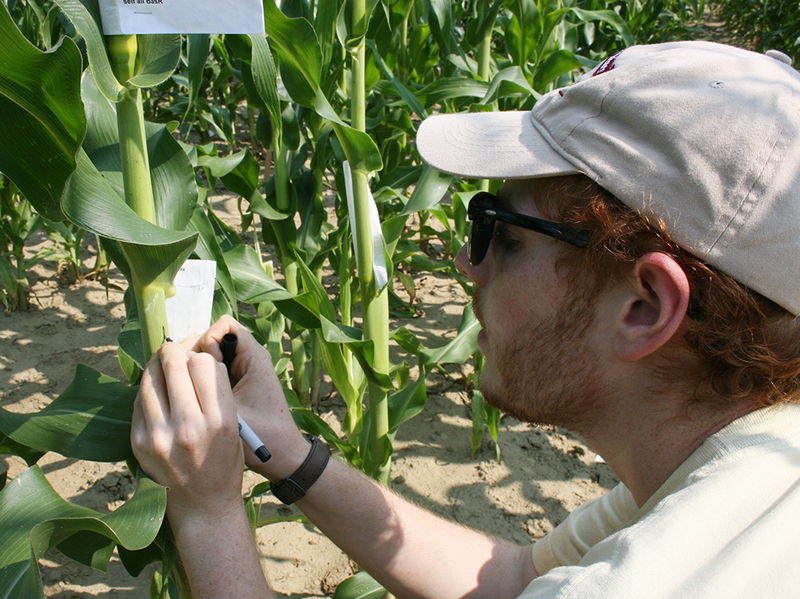 A key summer experience for Heithmar was gaining a stronger understanding of the pollination process and he is now well-versed on the work of the leading maize geneticists. He explains that corn has male and female reproductive organs: the male tassels and the female ears. Male tassels contain pollen. When the pollen from the tassel reaches an ear, fertilization occurs and a delicious edible ear of corn grows. Because the goal of the research is to have very specific plants pollinate other very specific plants, he covered all the ears with “shoot bags” to prevent natural airborne fertilization. When the ear is ready, the pollen is taken from a tassel and hand-pollinated to the ear. He reports that it is an enjoyable process, although research corn is not as delicious as the butter-and-sugar corn that is available locally. As part of his research, Heithmar searched for mutant genes on the genome. For this procedure he used gel electrophoresis and sequenced the gene. He made duplicate copies of the mutant gene and then sent the successfully duplicated copies of the gene off in the mail to obtain an exact nucleotide sequence to confirm that correct duplication. During the course of his work, Heithmar contributed to a research paper that has been submitted for publication. After this introduction to molecular biology, he feels “We need to study plants as much as we do humans. 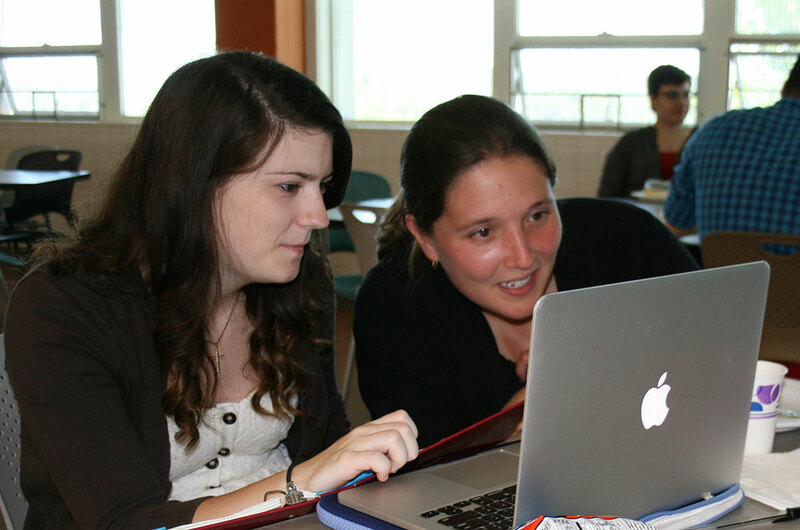 This project created a deep interest in developmental biology. I would never have considered this option if I had not come to Madelaine Bartlett’s laboratory.” His choice to attend UMass Amherst was influenced by the college’s agricultural emphasis, active farming opportunities and meaningful research. It appears to have been the right decision. 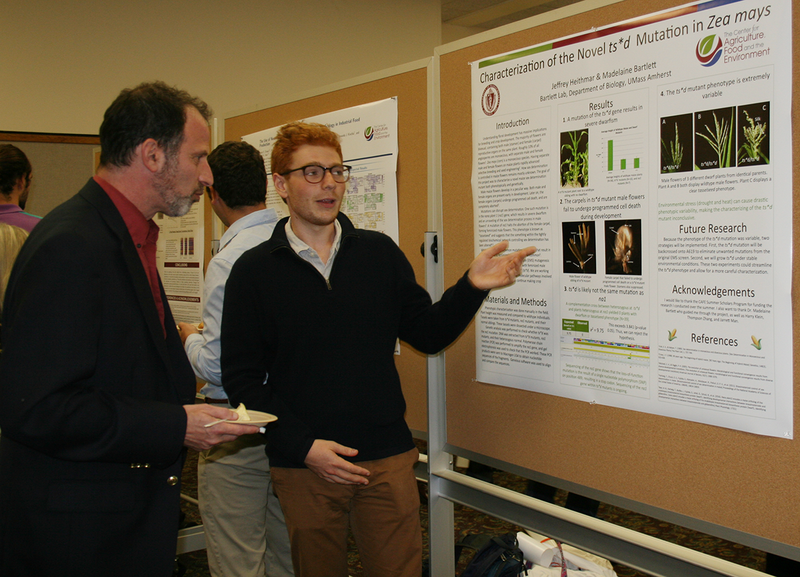 Jeffrey Heithmar’s Summer Scholar experience was funded by the Massachusetts Agricultural Experiment Station with funding from USDA-NIFA under the Hatch Act. Jonah Einson testing in the field at a food production facility, then analyzing results at UMass laboratory. Jonah Einson took on a lot of responsibility this summer working with David Sela, Assistant Professor of Food Science. Sela said, “Jonah researched the microbial communities present in a food production facility in western Massachusetts. These are the environmental microbiomes that may contribute to food integrity. Jonah used genomics and molecular ecology tools to answer his scientific questions.” Einson acted as liaison with the Food and Drug Administration (FDA), collecting samples, getting the raw sequencing from FDA and then performing further analysis and communicating back to the producer. Sela expects that Einson’s research will contribute meaningfully to at least two scientific publications. Jonah Einson’s Summer Scholar experience was funded by the Massachusetts Society for Promoting Agriculture. Dominic Savoie's Summer Scholar experience was funded by the Massachusetts State Grange. Professional Development. The culmination of this project was a poster presentation that summarized student projects in a poster format. 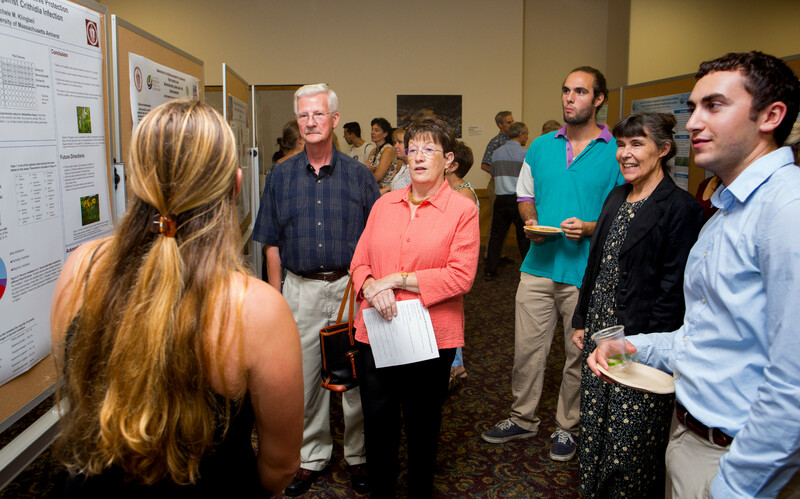 Although most students had not attended an academic event such as this, the posters were exceptional.